Gertrud Luckner, an English born German, spent a year of her life living in England. That year was 1932, and by the time she returned to Germany, she found her country completely transformed. Gertrud was stunned and horrified, and realized very quickly what these changes meant. At this time, the German clergy’s response to the rise of the Nazis was mixed, between “wait and see” and outright support. The Vatican signed a Concordat with Hitler shortly after his ascendency, thereby recognizing him as Germany’s legitimate leader. Gertrud Luckner’s own bishop vocally supported both the SA and the SS. Gertrud, on the other hand, was inspired by her faith to recognize the evil of Nazism. Gertrud Luckner worked to help Jews, and nearly paid for this with her life. 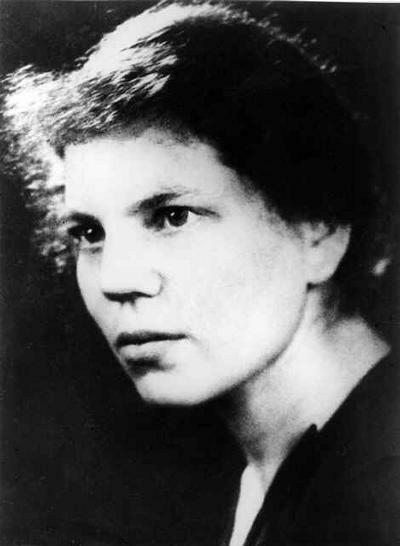 In 1943, she was arrested and sent to Ravensbruck concentration camp. Fortunately, she was still alive on May 3, 1945, when the Russians liberated the camp. After returning to Germany, Gertrud Luckner began to work on reconciliation between Jews and Christians. Tensions between the two groups were understandably high. Jews who returned to their homes in Germany were greeted with demands that they pay backed taxes on their property, including property their neighbors had destroyed. Luckner, in contrast, convinced the German bishops to call for restitution to the Jews, as a matter of justice. She did not stop there. She wanted to rid Germany of anti-Semitism. Gertrud realized that this would not be possible without changing the way Jews and Christians related to one another. To accomplish this goal, she purchased a theological journal, the Freiburg Circular, and became its editor. The journal’s mission was to expose and to oppose anti-Semitism, and she was very much alone in this task. She had no money to even pay writers for subscriptions. In an effort to gain support for her endeavor, she wrote to the Jesuit priest Robert Leiber, who was Pius XII’s personal secretary and confidante, asking the Holy See to acknowledge the importance of her work. The Holy See responded to Luckner’s request by launching a formal investigation. At the conclusion, the Vatican issued a monitum, an official warning. The Vatican accused Luckner and the Freiburg Circular of promoting religious indifferentism. Luckner did not care. Instead, she continued cataloguing stories of Jewish cemeteries being defaced and religious processions that recalled ancient slanders against Jews. She joined forces with Jules Isaac, a Jewish historian who wrote extensively about Christian anti-Semitism. In time, Luckner began to win over the younger German bishops, bishops who later be called to the Second Vatican Council and spoke in favor of Nostra Aetate. This entry was posted in emma, Saints, Two Weeks of Worthy Women. Bookmark the permalink. One correction: Freiburg, not Frieburg. Freiburger Rundbrief. It appears she was raised Quaker, and embraced Catholicism in 1934 (she lived 1900-1995). Good catch on Freiburg. Nice find, emma, if you are with us this week. It’s an amazing 20th century story. Full of instructive details. The kind of person that the current pope may find fascinating.